As part of your company’s commitment to safety in the workplace, it’s crucial to acknowledge employees who demonstrate safe behaviors on the job. 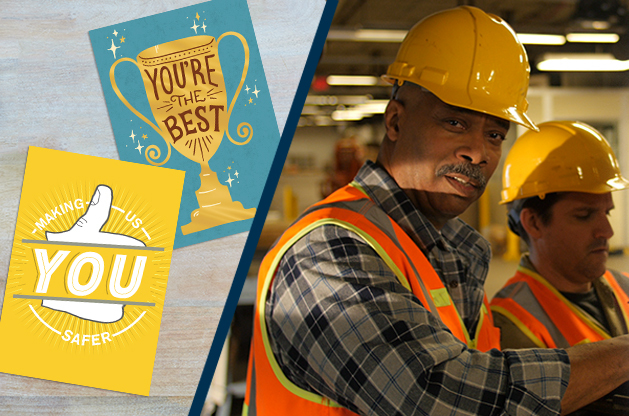 The easiest and most meaningful way to show your appreciation for workplace safety is by sending your employees a card that recognizes their hard (and safe) work. 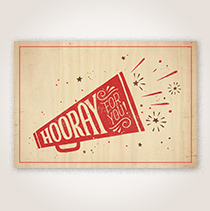 Shop for cards in the employee recognition category to best recognize safety in the workplace. You never give safety a day off. Thank you for staying safe and helping to keep others safe on the job, too! Thanks for being a leader when it comes to keeping everyone safe on the job. Every day your safety-mindedness sets a great example for everyone in your department and throughout the company. Thank you for your strong commitment to making our workplace safe! Your safe work habits have not gone unnoticed. Thank you for modeling workplace safety for everyone! We appreciate the way you always approach your job with an eye for safety. Your cool head and solid safety knowledge make a real difference. Thanks for always thinking of safety first! Thanks for noticing and reporting potential safety hazards. Keeping our company accident-free is everyone’s most important job! We appreciate you going above and beyond to practice safe work habits. Congratulations on your perfect safety record for the last [month, quarter, year, etc.]! Thank you for your safety suggestions. We appreciate your dedication to high safety standards. Your quick action helped prevent a possible accident. Thank you for following safety rules, staying alert and making the workplace safer for everyone. Thank you for being a safety mentor for your co-workers. Your commitment to workplace safety gets us closer to a perfect safety record every day. Your reputation for safe work practices makes you a role model for your co-workers. Thanks for showing everyone how it’s done! Thank you for alerting us to a potentially hazardous situation. We appreciate your contributions to keeping our workforce safe! It’s people like you who give our company its outstanding safety record. Thanks for your hard work and smart safety recommendations! It’s plain to see that you truly care about maintaining safety standards on the job. Thank you for promoting safe work habits and setting a positive example. It’s been said that “safety doesn’t happen by accident.” Thanks for always being proactive about workplace safety! Team member safety is our top priority. Thanks for your contributions to making the workplace safe. Thank you for taking responsibility for your safe work environment and doing the right thing every time, even when it's not the easiest choice. It’s said that every accident is preventable, but it takes someone like you to make sure. 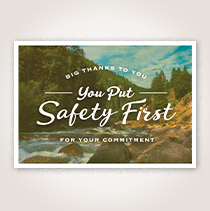 Thank you for always making safety your priority. They say that if an accident is predictable, it’s preventable. Thanks for making recommendations to improve our safety practices. Thank you for your contributions to a safe work environment. Your problem-solving skills and constant safety awareness are much appreciated. Your alertness and dedication to safety improvement help keep everyone on your team safe. Thanks for your hard work! Thanks for being proactive about safety and helping us fine-tune our policies. We value your efforts and leadership! And if you’re recognizing your employees in the month of June, sign your card with “Happy National Safety Month!” to recognize the occasion. 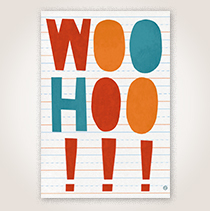 Don’t forget to shop for safety recognition cards in June for National Safety Month! Your employees will appreciate it.